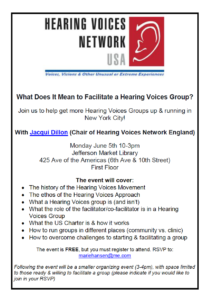 Come join us for a Hearing Voices NYC General Interest Meeting! 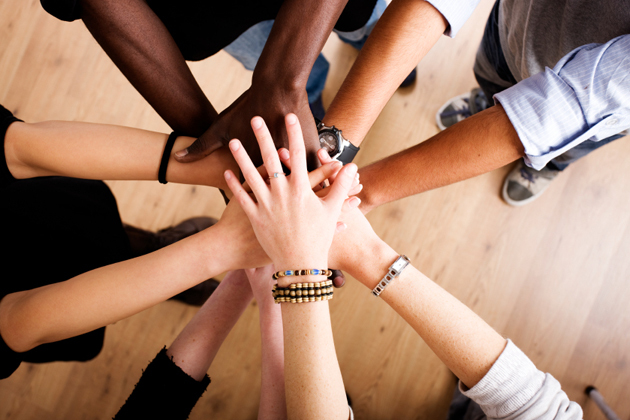 General Interest Meetings are different from our Support Groups. 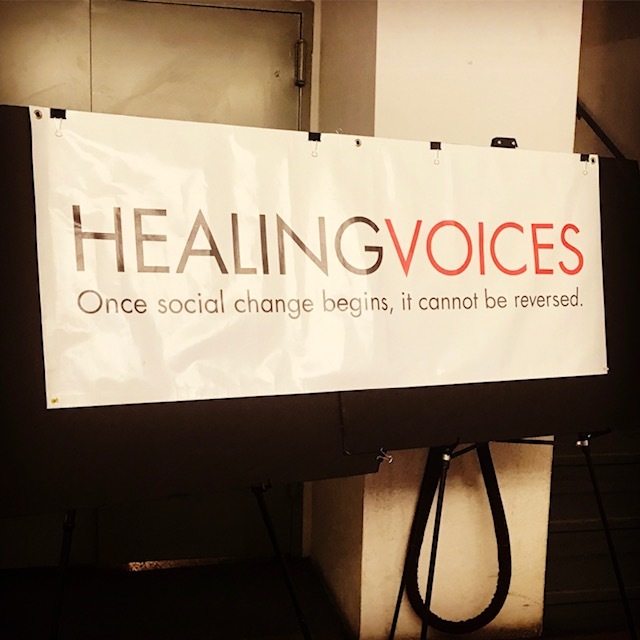 They are a place for anyone interested in the Hearing Voices Movement to come & hang out. We welcome voice-hearers, family/friends, clinicans, activists, allies, etc. A simple circle of chairs & group diaglogue about voice-hearing and building up the HVN community in NYC. All welcome. Many people who hear voices say that they sometimes “talk” with, “communicate” with, or “interact” with their voices. This might be out loud, or silently. We are interested in learning more about these experiences. 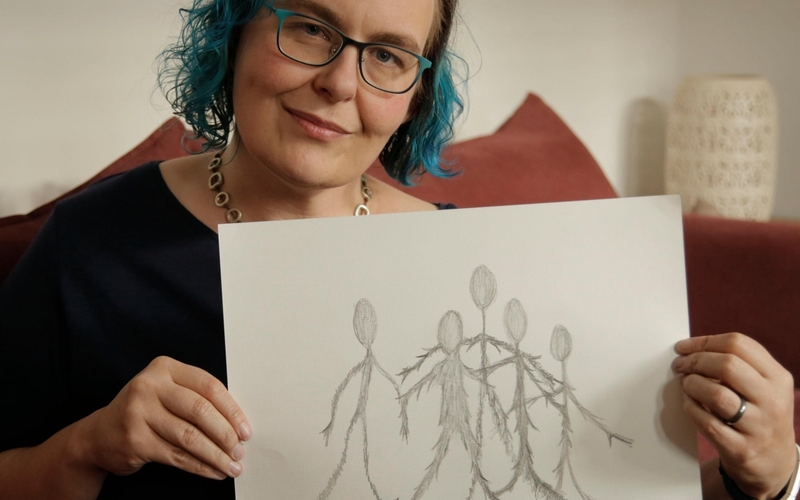 If you have ever talked with your voices – or had someone else talk with your voices – we are interested in collaborating with you on developing research questions for our study. We are part of an international working group focused on learning about the different ways people interact with their voices. Some of us are therapists, some voice hearers, some researchers (and some of us wear several of these hats). This is not a research study, but a way you can help collaborate with us on what you think we need to learn about people who have had conversations with their voices. 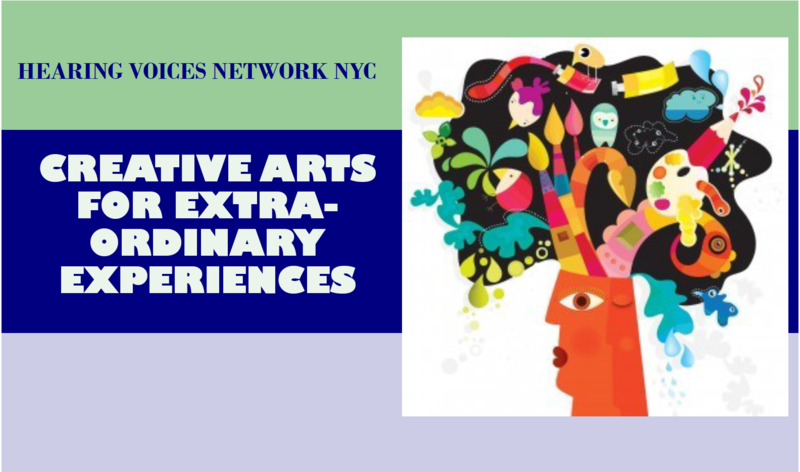 Starting August 1st, we will be offering a free creative arts therapy workshop to individuals hearing voices, seeing visions, and having other experiences often referred to as “psychosis”. The group will incorporate drama, movement, art and music as ways to externalize and concretize phenomena often difficult to put into words. There are few free services of this nature available, and we are hoping to reach folks who might not otherwise have the chance to explore their voice hearing experiences creatively. 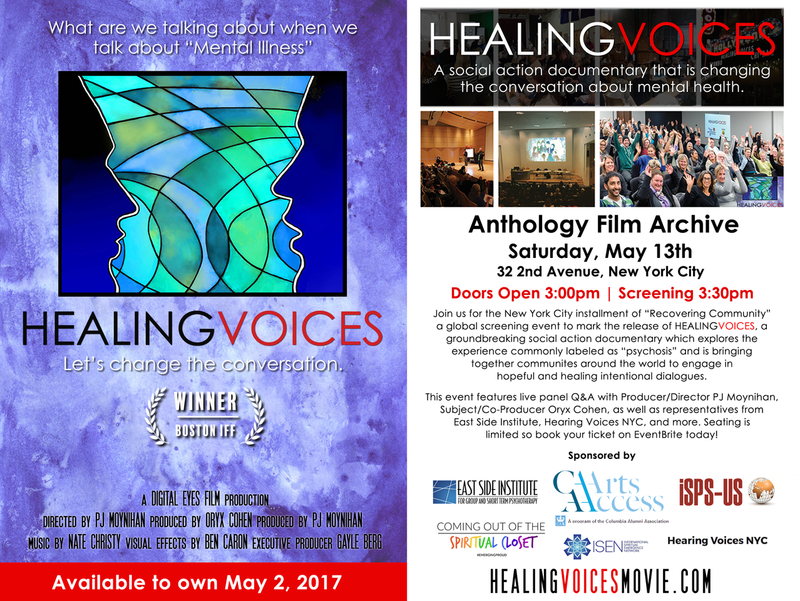 THEY HEARD VOICES is documentary film exploring the Hearing Voices Movement, chronic psychosis and the schizophrenia label. 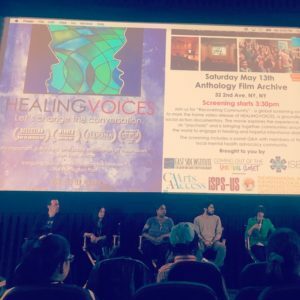 The film is a series of wide-ranging interviews with voice hearers, medical historians, anthropologists and psychiatrists from Britain and America, presenting different people’s views. ISPS is international organization dedicated to development and promotion of social and psychological approaches to experiences that get called “psychosis”. ISPS-US is the North American Chapter of ISPS and is active organizing events in North America, members include professionals of all stripes including: psychologists, psychiatrists, nurses, social workers, OTs, therapist and a whole bunch of others; as well as experts by experience, family members and carers – everyone. You can join too. Membership of the ISPS-US automatically includes membership to ISPS international, so you get the best of both. ISPS-US holds annual conferences , this year’s conference is in Portland, October 2017. ISPS hold international conferences biannually – next one is in Liverpool. 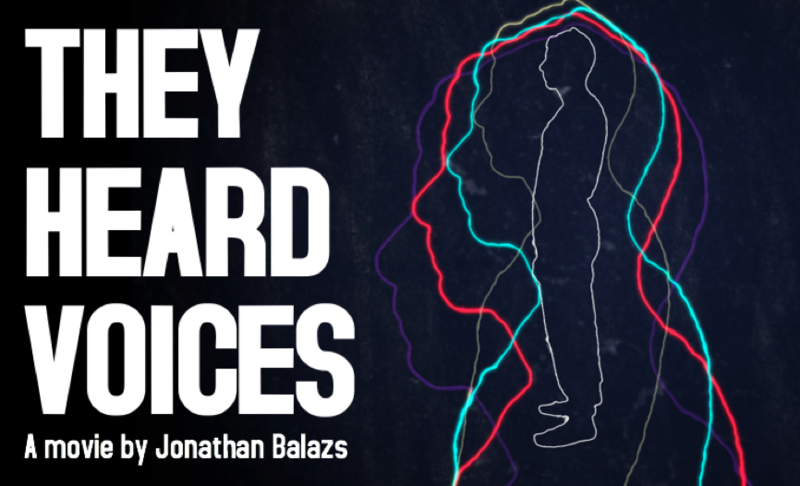 If you haven’t had a chance to watch it yet, check out “Why Did I Go Mad?” a BBC program that looks at voice-hearing from a multitude of perspectives. 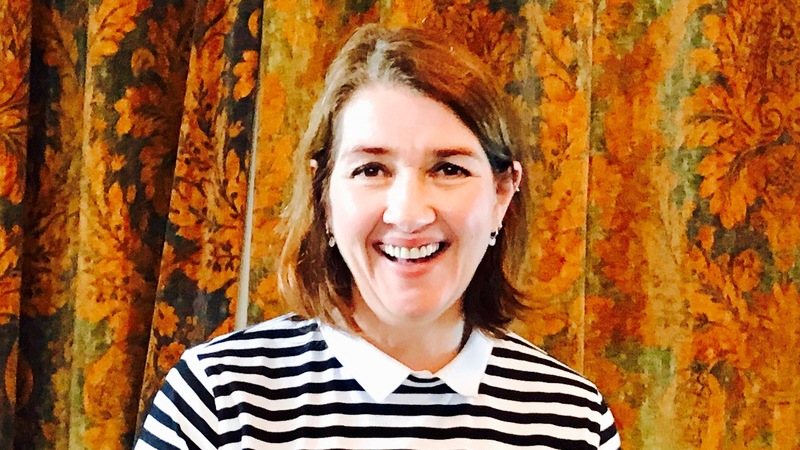 The program features Rai Waddingham, Jacqui Dillon, Eleanor Longden, & David Strange . A huge thanks to Jacqui Dillon for coming to speak to our community yesterday at Jefferson Market Library. 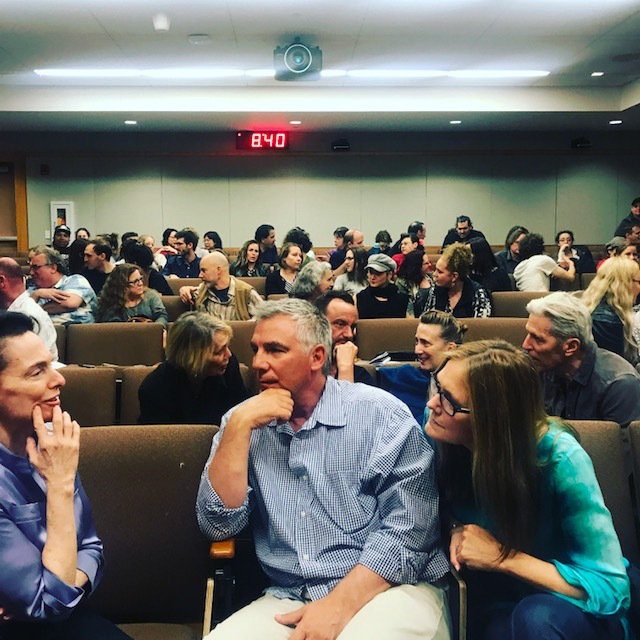 Over 50 people attended the full-day workshop which focused on the history, ethos, and group format of the Hearing Voices Movement. Eleanor Longden’s TED talk : Longden tells the moving tale of her years-long journey back to mental health, and makes the case that it was through learning to listen to her voices that she was able to survive. The Mysterious Skin : A Gregg Araki movie. Plot: Brian Lackey is determined to discover what happened during an amnesia blackout when he was eight years old, and then later woke with a bloody nose. 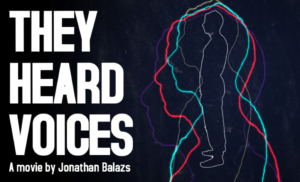 He believes he was abducted by aliens, and N. McCormick, a fellow player on Brian’s childhood baseball team, may be the key as to exactly what happened that night. As Brian searches for the truth and tries to track him down, Neil McCormick takes up hustling and moves to New York, in attempts to forget childhood memories that haunt him. Together, the two of them uncover the terrible truth of the scars they share. The Self Reflection Tool used for people to establish their readiness to facilitate or co-facilitate a Hearing Voices group. This can be used when formal training is not available. teach new people about how to run groups. If you are a new facilitator, come by to learn from current facilitators. Jacqui will be returning to New York on October 19th 2017– Stay tuned! In the meantime, Hearing Voices NYC is working on getting a 3 day facilitator training. Check back here for more info. It’s been a great weekend of film screenings dedicated to looking at psychological crises in new ways. 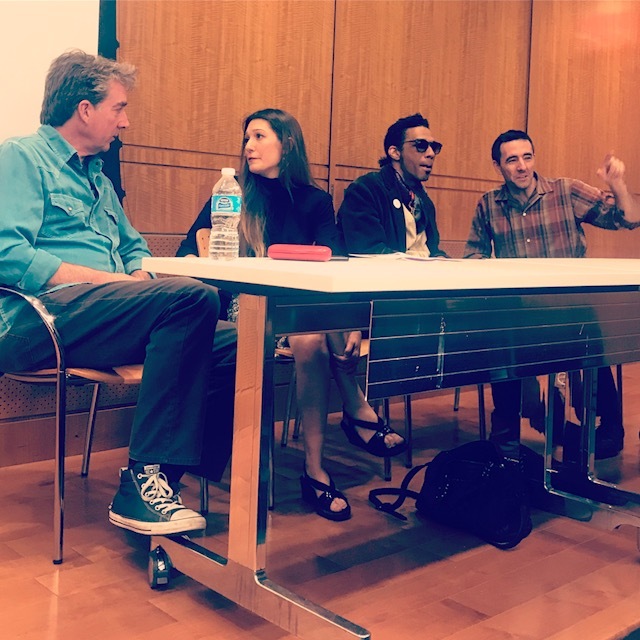 Friday evening was a screening of CRAZYWISE at NYU Langone Hospital. Featuring a panel with Peri Zarella, Issa Ibrahim, Sascha DuBurl & co-director of CRAZYWISE Kevin Tomlinson. 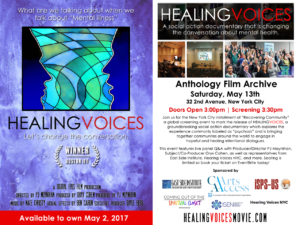 Saturday afternoon was the NYC home-video launch of Healing Voices. The film followed with a panel Q & A featuring (among others) Oryx Cohen and Matt Estrada. & post-screening discussion with the filmmakers and subjects. 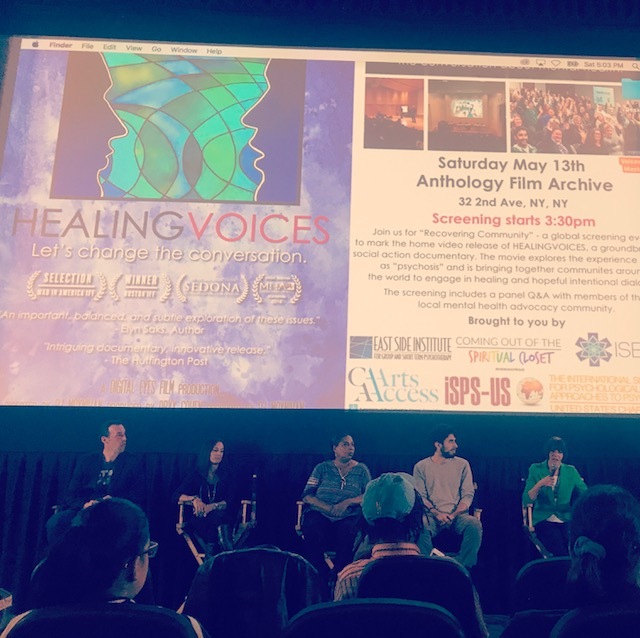 Sleep in on Saturday morning and then join us for a screening of Healing Voices at the Anthology Film Archive (32 2nd Ave) at 3:00 on May 13th, followed by a discussion with producers PJ Moynihan and Oryx Cohen and other special guests. Bus: M15 to 3rd Street. #6 to Bleecker St., walk one block north on Lafayette, then two blocks east on Bond St. (turns into 2nd St.) to 2nd Avenue. Tickets are $8-$12. There are small number of discounted tickets available. Contact president@isps-us.org by May 10 for more information. Hearing Voices NYC is happy to announce our collaboration with the #EmergingProud campaign! #EmergingProud is ultimately a campaign about providing hope; that breaking down does not mean we are broken; it means that we can be amidst a difficult journey to ‘breakthrough’.